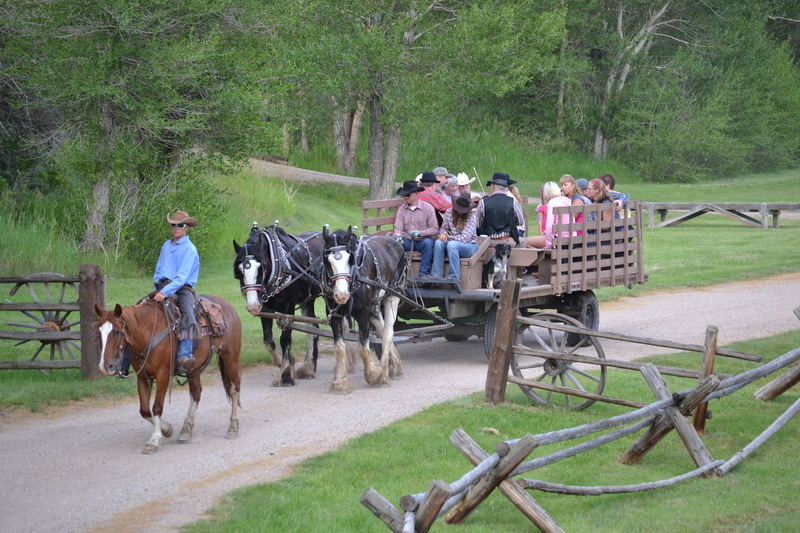 Enjoy a Wide Variety of Guest Ranch Activities! The Vee Bar offers many exciting family oriented guest ranch activities including horseback riding, hiking, excellent fly fishing, hayrides, trap shooting, camping, herding cattle, and river tubing, and more! 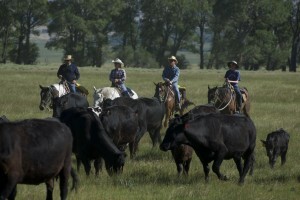 Activities center around western horseback riding and the Vee Bar claims one of the best horseback riding programs to be found at any guest ranch. Your experience will range from riding in the meadows to riding across the top of Sheep Mountain in the Medicine Bow National Forest. Scenic hiking is just minutes away with several well marked trail systems in the nearby Snowy Range mountains. 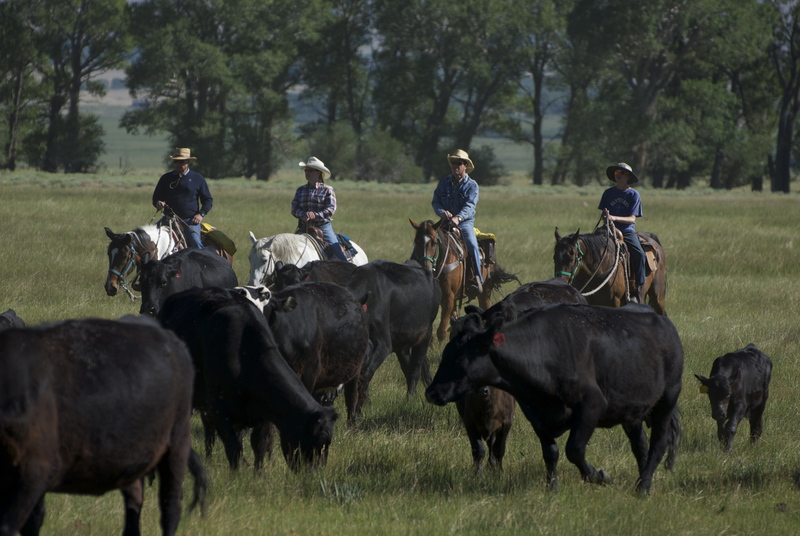 Cattle work and sleeping out on the range will further your appreciation of the authentic western lifestyle. Some of the best trout fishing around is right on the ranch, or you might like the beauty and solitude of fly fishing in the mountains. “Thanks again for a wonderful week of riding, eating, resting, etc. 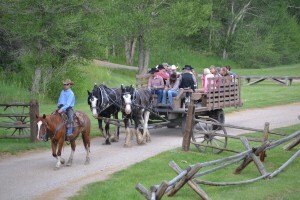 The ranch is a great vacation place for kids. The terrain is gentle and safe with plenty of room to run and play. For children under six, child-care providers will be available with notice. Children six and older are eligible for horseback riding activities with parents or other children. All children can work on their horsemanship skills by competing in the gymkhana or moving cattle while receiving pointers and coaching from our kid-friendly wranglers. 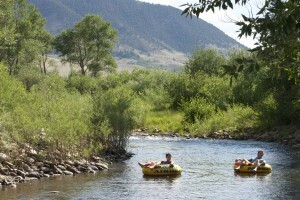 Other popular guest ranch activities include river tubing, fishing, hiking across glaciers, camping out in teepees, roasting marshmallows, learning to rope, playing games, swing dancing, or just enjoying the hot tub. The Vee Bar also offers trap shooting and fly fishing lessons for teens. 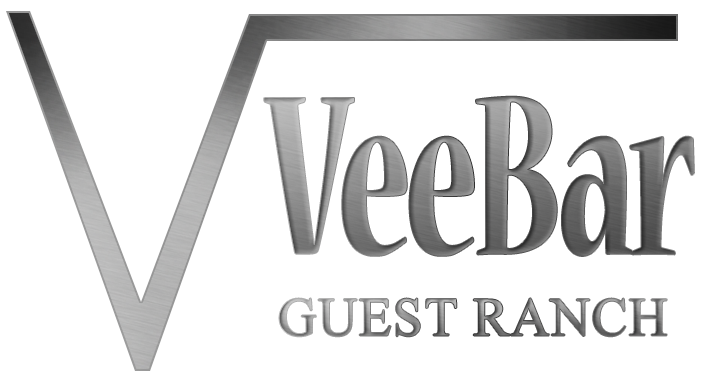 As the old adage goes, “A picture is worth a thousand words.” Thus we invite you to visit the Vee Bar photo gallery. Also, be sure and check out the Virtual Tour for the virtual Vee Bar experience.